The long awaited One Tax One Nation has come true with the introduction of GST. With introduction of any new system there always comes some initial teeting problems. The Industries Members are are also facing some initial hurdles in making accounting entries after the introduction of GST and many of the Industries uses Tally Software for their accounting system. 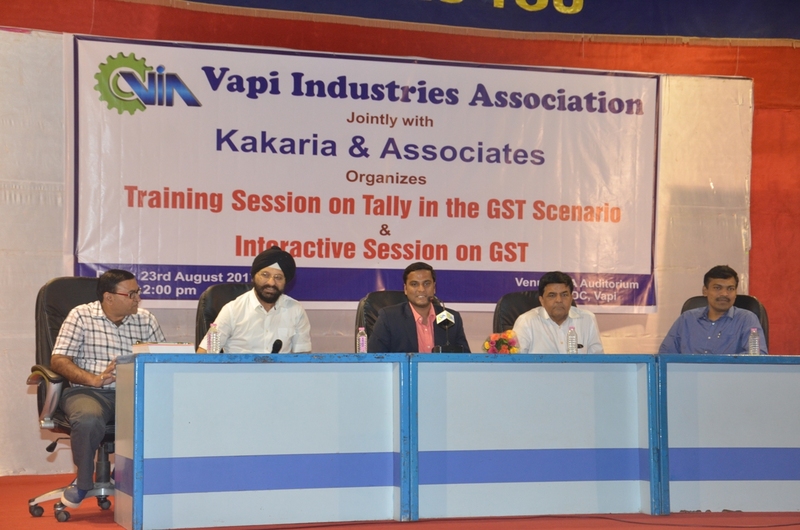 Understanding this Vapi Industries Association (VIA) has organized a Training Program on Tall jointly with Kakaria Associates. 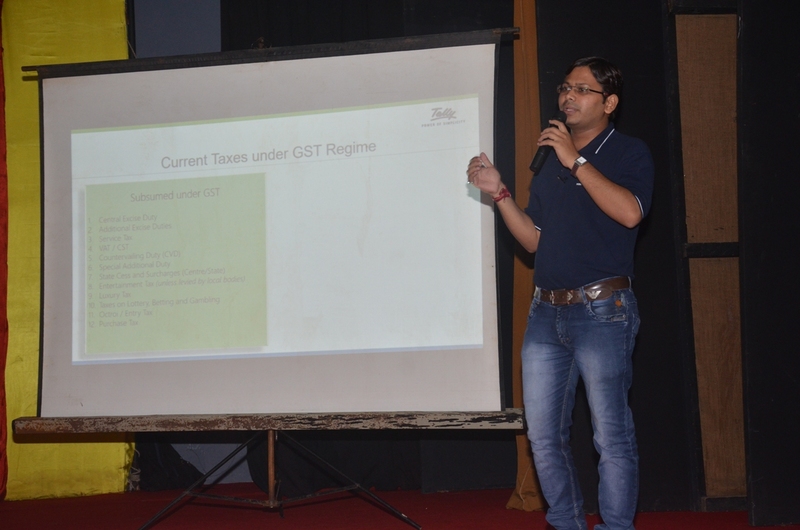 Shri Ashish Parekh and his team gave elaborate presentation on Tally and explained how the entries of GST to be made. 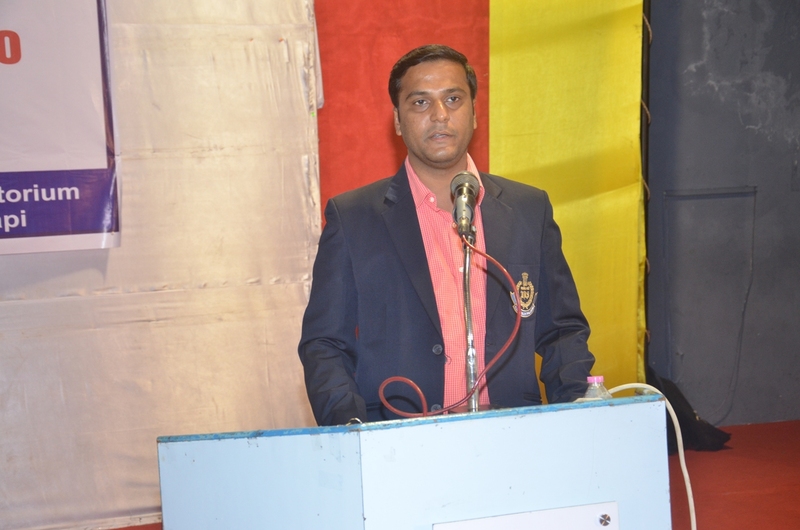 The Training Program was held in the presence of Shri Hitendra Thakkar, President, VIA, Shri Chandrakant Pandya, Vice President, VIA, Shri Satish Patel, Hon. 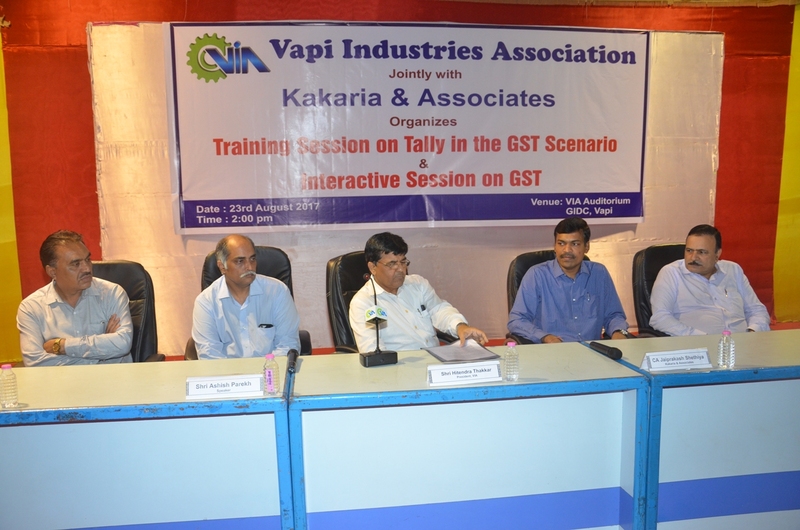 Secretary, VIA, CA Jaiprakash Sethiya & CA Subhash Kotadiya from Kakraia Associates. 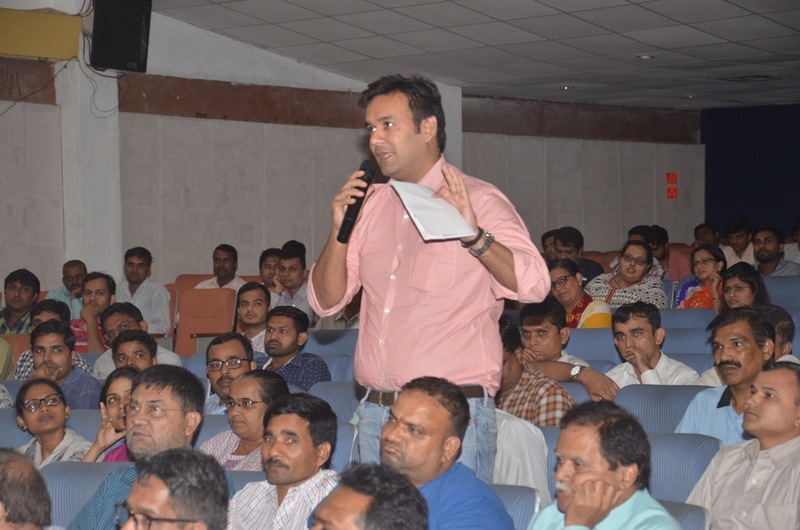 Coinciding with the Training Program in interactive session on GST Related Quarries was held in the presence of Shri Yatish Patil, Asst. Commissioner of GST, Div. I, Vapi, Surat Range. 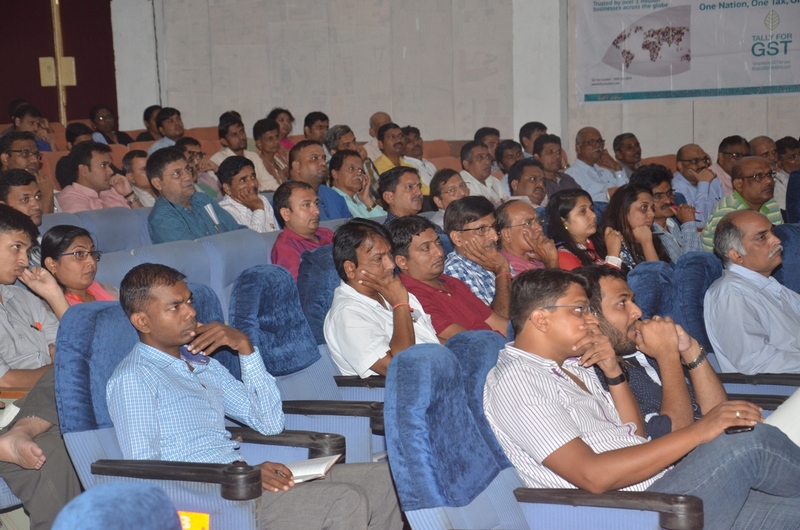 The event was well attended by the Industries Members and their Accounting Personnel, Chartered Accountants and Accounts Consultants.